In both Maryland and around the country, the infrastructure for electric cars in the form of electric charging stations has gotten a boost in the last week. Last weekend, Maryland committed a million dollars in stimulus money to putting 64+ charging stations at Baltimore parking garages, and sites along Interstate 95. “Marylanders average less than 40 miles driven daily, which places them within the battery-powered car range, said Woolf. Providing the “basic infrastructure” of available charging stations will help to sell electric vehicles and kindle new business and jobs. “Enter Ecotality, a Tempe, Ariz.-based electric-transportation company deploying 15,000 free electric-car chargers this fall in 13 cities, including the District. The initiative, called the EV Project, launched in October with $99.8 million in stimulus funds. The grant covered the installation of home charging stations — which cost about $2,200 each — for 4,700 buyers of the Leaf and a handful of public stations. We’ll need these investments and more to make electric cars mainstream in America, but it’s a promising start and shows that putting the infrastructure in place is realistic and affordable. People interested in buying the coming generation of electric and plug-in hybrid vehicles will be more comfortable in making that decision because of the added number of charging stations. 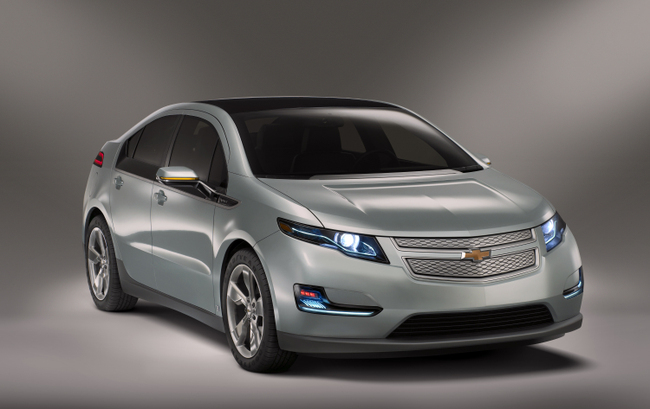 I got to test drive the Chevy Volt last week. I thought I’d follow up by writing a column about electric cars and their arrival. Enjoy! I found myself behind the steering wheel of General Motors’ highly anticipated Volt, driving around the campus last Wednesday. The Volt is a plug-in hybrid car with a battery that powers the car for up to 40 miles combined with a gas engine with a range of 300 miles if you need it. It was pretty sweet. Just a few years ago, I wouldn’t have expected it. I remember the famously depressing 2006 documentary Who Killed the Electric Car? that took a look at what forces were responsible for the demise of the EV1, a fast, highly efficient electric car that was produced in the early 1990s. Since then, gas prices rose to painful levels, our oil dependence became a major environmental and national security issue, and automakers finally figured out you can go green and still make green. After test-driving the Volt and reading about Nissan’s all-electric 100 mile-range “Leaf,” I’m more optimistic than I’ve ever been that electric cars are here to stay. Both these cars are mainstream and coming out near the end of this year. Throw all the electric car stereotypes out the window. After a $7,500 tax credit from the federal government for these advanced battery vehicles, the prices are in the range of ordinary, gas-powered sedans. The Volt accelerated with ease, so highway speed will be no problem. The average daily commute of 75 percent of Americans is 40 miles or less, meaning the ranges on both cars will cover the majority of our trips. Special outlets for charging aren’t necessary, just an outlet and an extension cord. Part of the appeal is how cheap it is to buy the electricity to power the car versus buying gas. For example, fully charging the battery of the Volt will cost the average American less than a dollar a day. Last time I looked, a gallon of gas around here had come close to $3 and was climbing. Charging a battery could be even cheaper if you do it in off-peak hours with a utility company that offers variable pricing based on real-time electric demand. This is typically at night when few appliances are at use, and electricity is dirt cheap. The presumption that most of us would charge our cars at night, when electricity demand is low and prices are cheap, is important. One criticism of electric cars is they’ll likely be powered by dirty energy, or add so much new demand to the grid that we’ll have to build more power plants. The reality is the electric power grid has a large amount of generated but unused electricity every night that goes to waste. Much of the added demand from electric cars to the grid would just take advantage of energy that would ordinarily go to waste anyway. I think President Barack Obama’s goal of a million plug-in cars on our roads by 2015 is too low. This technology is here now, it’s affordable and if we’re going to move away from oil, the electric car is our best bet. We need to invest more in the technology so we dominate this emerging industry, and bring manufacturing jobs back to America. It’s very fitting that a new documentary is in the works titled Revenge of the Electric Car. Success for these new vehicles would be sweet revenge. Occasionally it’s nice to see a new invention or breakthrough that brings a clean energy future absent of fossil fuels a little closer. One of the main obstacles facing electric and plug-in cars today is how much energy a battery can store when it can only be so large to fit in the car. We’ve been getting better with our battery technology and storage, which I why we should be seeing plug-in hybrids on the market in 1-2 years, and electric cars not too far off. The breakthrough is an air-fueled battery that can last up to 10 times at long as the conventional batteries we use right now. This doesn’t only apply to electric cars, but all sorts of electronic devices such as laptops and cell phones. Right now the development of this technology is only halfway through its 4 year program, but hopefully it will find its way to the market within the next decade. Excerpts below. It’s always fun to check out some of the new technologies coming out in the coming years which will generate economic growth and help reduce pollution at the same time. I recently came across a press release from a UK company called Detroil Electric looking to mass produce an affordable all-electric sedan called the E63. They’re planning on release two different versions of the E63, one which has a range of 111 miles, and another with a range of 200 miles. The 111 range sedan will be available for between $23000-$26000, and the 200 range $28000-33000. The company is planning to release the car in Europe and Asia in early 2010, and then in the US a few months later in 2010. 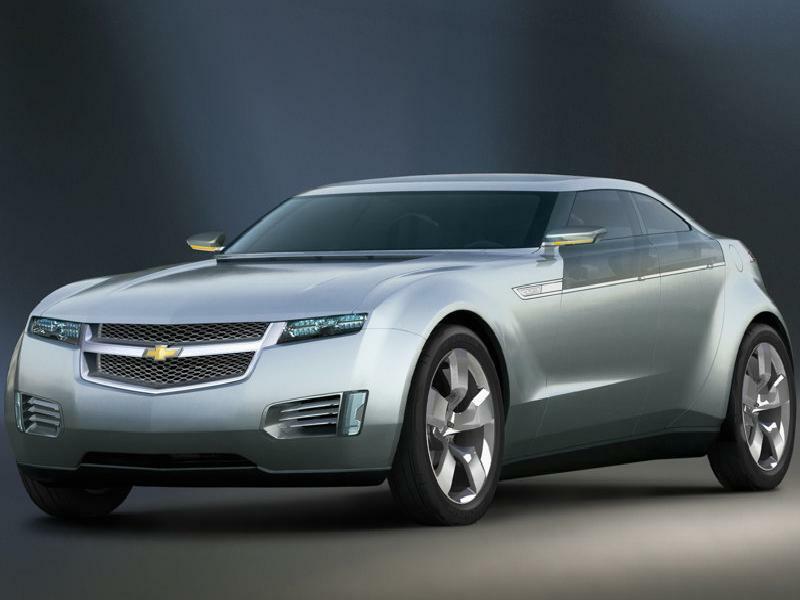 By 2012 they expect to sell more than 270,000 of these vehicles. These cars are also going to have a pretty strong performance for their price and range, with a top speed of 111 mph, and able to go to 0-62 in less than 8 seconds. Count me in!